The Japanese have many artforms related to paper. The best known is origami, the art of paper folding, but equally ancient is kirigami, the art of paper cutting. It’s the forerunner of pop-up books, and sometimes seen in high end greetings cards. The Harvard team has been inspired by this technique to make a new way for snake robots to crawl over a variety of terrains. Snakes are the natural world’s unlikely masters of locomotion. They can slither up to 14 miles an hour (23km/h) across all sorts of surfaces, climb trees and swim. They do these by using their ventral scales as grippers. As they flex their bodies, their muscles push the edges of their scales out so they grip the surface and propel their bodies forward. This is known as friction -assisted locomotion. 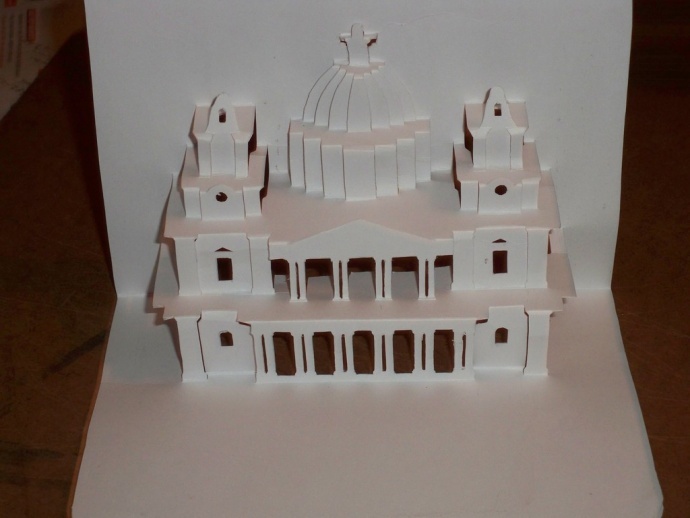 The team from the Harvard John A Poulsen School of Engineering and Applied Sciences (SEAS) has used kirigami to recreate this process. The skin of their robot snake is patterned with many small cuts, so that as the robot stretches the skin becomes a 3D textured surface that can grip the ground like snakeskin. 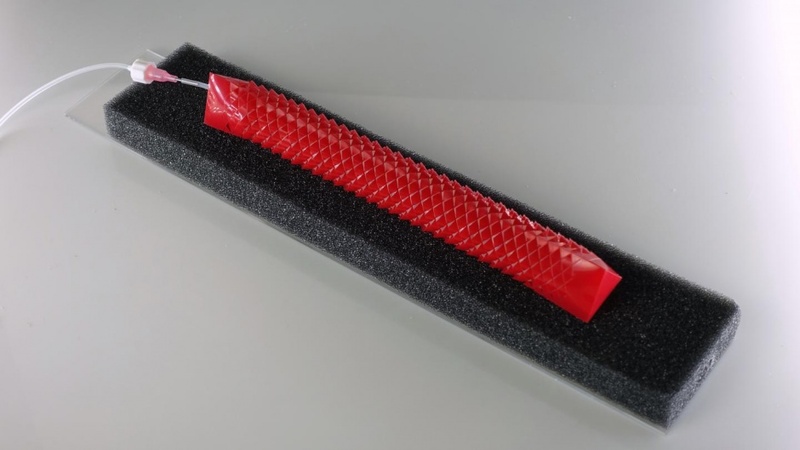 Starting with a flat polyester sheet, they used a laser cutter to etch a triangular lattice pattern, with centimetre scale cuts, then wrapped this sheet around a tubular silicone rubber actuator that had previously been wrapped with stiff Kevlar fibres in a tight helical pattern; this ensured that, when the actuator was inflated, it would only expand by elongating in one direction. When inflated, the kirigami cuts pop out of the surface of the sheet, creating a rough surface that grips whatever the robot is sitting on. When the actuator is deflated, the cuts fold flat and the robot moves forwards. In a paper in Science Robotics, the team describes how they built a fully untethered robot, with integrated on-board control, sensing, actuation and power supply all packed into the tale of the “snake”. To test it, they sent it crawling around the Harvard campus. Experimenting with different shaped cuts, the team found that a trapezoidal pattern (which most closely resembles natural snakeskin) propelled the snake further forward with each inflation-deflation cycle than circular or triangular cuts. The team has high hopes for the application of this technique, noting that it is simpler, faster and cheaper than previous snake robot locomotion methods. “These all-terrain soft robots could one day travel across difficult environments for exploration, inspection, monitoring and search and rescue missions or perform complex, laparoscopic medical procedures,” said Prof Katia Bertoldi, who directed the research.